Improvisation is a part of our human condition, it's not a special gift for the inspiration moments, it's the way we live our daily life. It's part of all music, although Free Improvisation as a musical genre is not tied to any particular style, is the self expression of each person integrating all our musical experiences. Through Free Improvisation we face the instant of creation and co-creation of music, and it putts all of our senses in direct communication with the others and the environment. This is why Free Improvisation is not only a musical genre, it's an important tool to develop our skills and abilities such as creativity, listening, concentration, intention, trust, respect, decision, energy, memory, the risk, the occurrence, acceptance, humour, responsibility and expand our boundaries. 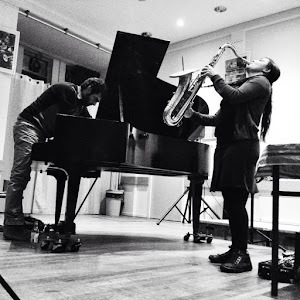 This workshop is for all the musicians who want an approach to free improvisation and are interested in developing a way to expand their own expression.